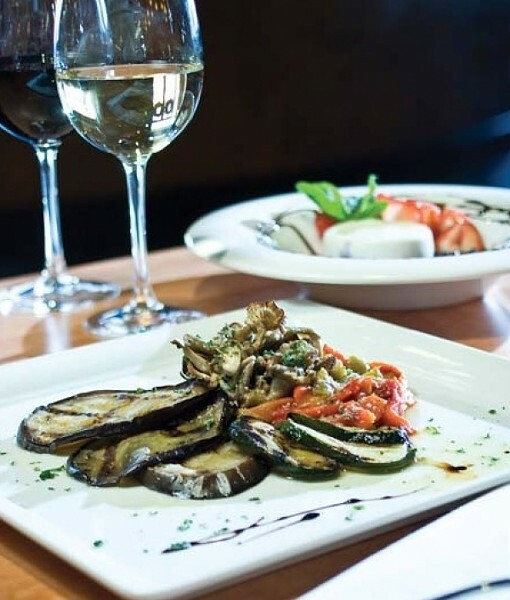 Zucca Trattoria (1479 E. 5600 South, South Ogden)—Ogden’s best restaurant, in my humble opinion—is featuring a special Monday through Thursday value combo dinner called Valore, priced at $18 for three courses. Diners get a choice of appetizer/soup/salad: mixed greens, tomato-basil bisque or bruschetta; an entree option of lasagna Bolognese, New York roast, chicken saltimbocca or eggplant parmigiana; and dessert: tiramisu or panna cotta. For reservations and information, phone 801-475-7077 or visit MyZucca.com. On Saturday, April 28, Ferguson kitchen showroom (2565 S. 300 West, Salt Lake City, 801-808-9108) will be the locale of a one-off “pop-up” dinner featuring the chefs of SLC Alchemist: Katie Weinner and Jonas Otsuji. Weinner is culinary director at the Art Institute of Salt Lake City, where she teaches subjects including molecular gastronomy and Asian cuisine. Otsuji trained with master sushi chef Kunio Jimbo, worked at Las Vegas’ No. 1 rated sushi bar, Sushi Roku, and was a contestant on the reality show Survivor. The dinner, which begins at 7 p.m., will be comprised of a unique 12-course tasting menu, and the evening is BYOB. Seating will be limited to 30 guests, and tickets are $149 per person. For more information visit SLCAlchemist.com. On Sunday, May 6, Fratelli Ristorante (9236 Village Shop Drive, Sandy, FratelliUtah.com) will host Marjan Simcic for a tasting of Simcic wines. Simcic is a rock-star winemaker in Europe, where his vineyards straddle the Italy-Slovenia border. Although he’s known mostly for white wines, one wine critic called Simcic Pinot Noir Selekcija “the best red wine of the Old World.” The Fratelli tasting will begin at 6 p.m. and will feature five Simcic wines paired with progressive small plates. The cost is $75 per person for the wine and food. For more information and to reserve a spot, call 801-495-4550.